New Windows | Colorado Glass Solutions, Inc. If you’re wondering how to reduce your A/C’s workload this summer and save money on the energy bill, new energy efficient windows may be the answer you’re looking for! Colorado Glass Solutions in Longmont offers a wide variety of new windows that are high-quality and energy-efficient. Inefficient windows will allow most of the sun’s UV rays to penetrate into a room, causing the space to heat up from solar radiation. This excess heat will make the air conditioning work harder, leading to higher energy bills in the summer. 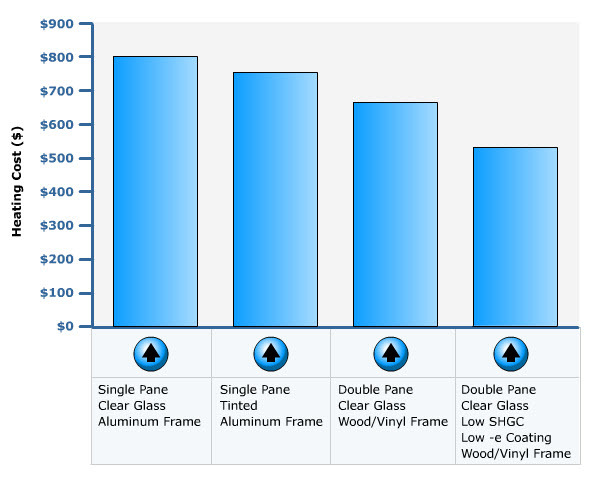 Below is a graph that estimates annual cooling costs for various window types in an average Phoenix home. The windows that offer the lowest heating costs are double pane clear glass in a wood or vinyl frame with a low SHGC, or Solar Heat Gain Coefficient, and low-e, or low-emissivity, coating. Single pane windows in aluminum frames are the least energy efficient and will cost homeowners an average of $250 more per year in energy bills. A low-e coating is a layer of metal (only a few molecules thick) that is applied to the glass to lower the solar heat gain through the window. A soft coat is applied to inner panes because it cannot withstand the elements, while a hard coat is durable enough for exterior panes but not quite as energy efficient. There is also a product available called Heat Mirror, which reflects radiant heat while also decreasing heat loss since it is applied to a thin polyester sheet suspended between a dual pane window. If you would like to know more about how to select the right new windows for your home or office, give us a call at Colorado Glass Solutions- we’d be happy to help! If you are looking to bring the outside in, create more seating or flood a room with light, there is no better solution than having Colorado Glass Solutions of Longmont install a bay or bow window! Bay windows are angular, and can be square, hexagonal or octagonal, while bow windows form a more graceful curve. Continue reading below about the differences between bay and bow windows, according to Pella’s Comparison Guide. Size: A bay window is usually made up of one large center window with two more narrow panels on either side; 40 inches or more is needed for installation. At least 80 inches is needed for a bow window, which is comprised of four or more panels. Ventilation: While bow windows can designed with vented options, it is a less common feature which also means more expensive. The main purpose of a bow window is to add an elegant architectural detail, so bulky opening mechanisms detracts from the style. However, bay windows are typically made to open for circulation. Light: Bow windows have less framing and more panes of glass, and therefore let in slightly more light than bay windows. Still, both types of windows are excellent at capturing light throughout the day from their different angles. Purpose: If you would like a larger area to sit, bay windows provide more area by extending further out from the house. If your main purpose for installing this type of window is to take advantage of the view or bring in more light, bow windows are wider and can also be installed around a corner. Cost: This is where the two options are most similar, both typically costing between $4,000-$5,000. Depending on your main priority for the room- either enjoying more of the view or creating a cozy sitting area, there is a bay or bow window option that will fit your style and budget. Installing a bay or bow window through Colorado Glass Solutions in Longmont will transform a room from the inside and out, bringing in tons more natural light and adding a beautiful architectural detail to your home! 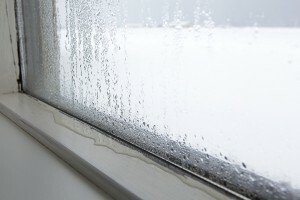 Does Condensation Mean You Need New Windows? Now that we’re experiencing colder and wetter weather here in Colorado, you may have noticed that your windows have started to sweat. There are several reasons for this annoying water problem, one of the top being old, inefficient windows. Colorado Glass Solutions in Longmont carries a wide selection of high efficiency products that can not only get rid of window condensation but also decrease your home’s energy bill. The reason condensation only appears on windows in winter is because of a convection current that occurs when it’s cold outside. The inside glass is cold and the heated air circulating in your home will rise then sink against the window pane. As the warm air hits the cold glass, moisture will start accumulating on the window since the air is below dew point. If your windows were installed recently and are high quality units, condensation problems could be happening due to your home’s ventilation system. An energy audit will assess your windows as well as the tightness of the building envelope, or how much air is lost and exchanged from the interior of your home to the outside. This is the most reliable way to confirm if the windows are to blame for the puddles on the sills. To avoid this sweating problem when purchasing new windows, pay close attention to the Condensation Resistance Factor on the National Fenestration Rating Council label. This feature is rated on a scale of 1 to 100, and the higher the number, the greater resistance the window has to sweating. Our experienced staff can also explain the U-Factor, Solar Heat Gain Coefficient, Visible Transmittance and Air Leakage ratings on our inventory, and answer any other questions you may have about a product. 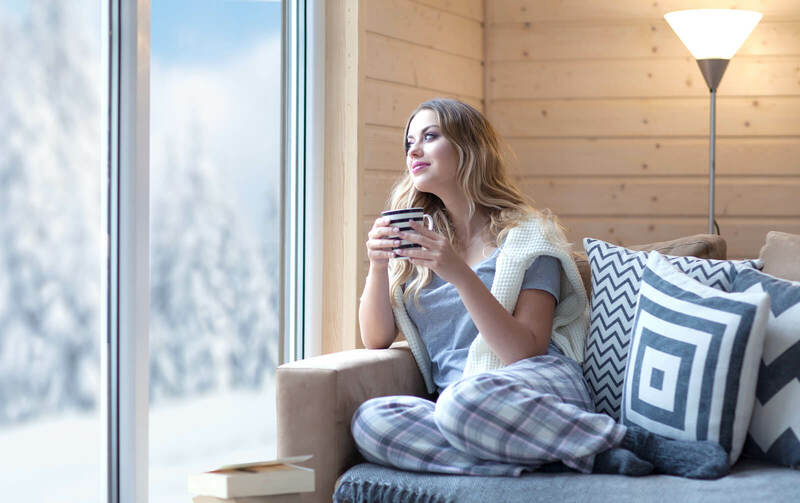 If window condensation this winter is leading you to invest in new windows, be sure to visit Colorado Glass Solutions in Longmont where you will find a variety of top quality, high efficiency products! There is definitely a crisp in the Colorado air lately, reminding us that fall is just around the corner! 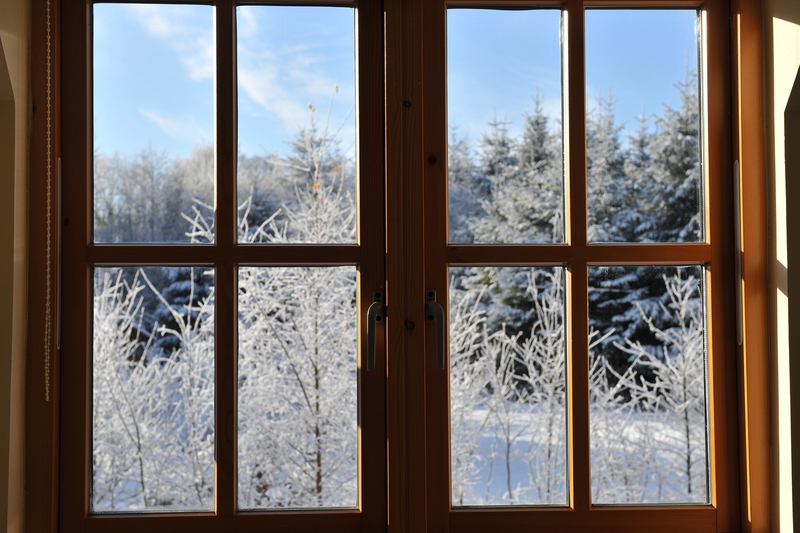 To keep your home or office comfortable in colder weather, consider implementing the following efficiency tips and if you decide to install new windows, Colorado Glass Solutions in Longmont can help! To weatherproof your current windows, fill in any gaps with caulk and apply weather-stripping to movable parts. Insulation kits are also an option, but beware that the plastic film can cloud or distort your view. If your windows are sealed well, consider installing cellular shades to further help with insulation but not block out the light. When your windows are older and it’s feasible for your budget, the best option to keep your home or office warm is to replace inefficient windows with newer models. 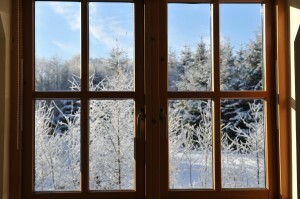 The U.S. Department of Energy advises consumers to “Select windows with both low U-factors and low SHGCs (solar heat gain coefficient) to maximize energy savings in temperate climates with both cold and hot seasons.” Windows with two or more panes of glass that create an insulated zone are good choices. The best option are windows with low-emissivity coatings which will reduce energy loss between 30-50%! They also stress that no matter how advanced the window design, energy efficiency can only be ensured with professional installation. Chilling drafts are not pleasant to live or work with, and paying higher energy bills due to heat loss is something we all want to avoid. If your windows are deteriorating or not keeping your space warm anymore, contact Colorado Glass Solutions in Longmont this fall for a wide variety of high-quality energy efficient windows at competitive rates! You spend so much time in the kitchen, the last thing you want it to be is a dark and dreary space. Consider installing new kitchen windows with the professionals at Colorado Glass Solutions in Longmont- we have a wide selection of high quality options and guarantee excellent customer service Below are five ideas of where to place a kitchen window, gathered from this Houzz article written by Jennifer Ott, Interior Designer. Over the sink- This is the classic place for a kitchen window for a good reason: nobody wants to stare at a wall when they can look outside while doing the dishes. There is another reason to put a window here, though- to function as a backsplash! Below cabinets- Putting a long horizontal window just above the counter and below the upper cabinets allows for natural light without sacrificing storage. This is also a good alternative for those without a nice view. In place of upper cabinets- For those who are lucky enough to have a beautiful vista and plenty of other space for storage, consider replacing upper cabinetry with windows along an exterior wall. And if you are a gardener, a bay window is a wonderful way to grow herbs! 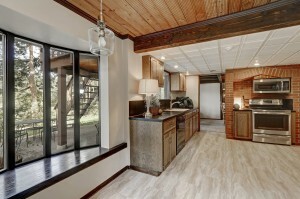 Above cabinets- This is another option for those without an ideal vista, or to highlight a vaulted ceiling. Also take into account the direction the windows will be facing- those oriented to the east will bring in morning light but the sun won’t be in your face when making dinner. In the corner- A unique spot to install a window that will become an architectural feature in your kitchen is a corner- and accessing the back of a corner cabinet is impossible anyway! If you can maximize storage elsewhere, install as many windows as possible- there is no such thing as too much natural light! So call Colorado Glass Solutions of Longmont to select your new kitchen windows from our high-quality inventory and enjoy cooking in a whole new light! Natural light makes every room of a home seem bigger and that bright and airy feeling is perhaps most valued in a bathroom. If you’d like to add or replace a window in any of your home’s bathrooms, Colorado Glass Solutions of Longmont has a wide selection of high quality windows that are both functional and beautiful. Frosted or glass interlayers- Available in many different textures and patterns, frosted glass will obscure the interior but maximize the natural light allowed in if the top third of the pane is left clear. Sandwiching an opaque layer between two sheets of glass opens up endless possibilities as well. Upper window or skylight- For maximum privacy, place the window high on the wall or in the ceiling. Installing a skylight in the shower gives the illusion of showering outside from the comfort of inside- especially with the addition of a rainshower head! Wall- For those with a private garden or view, a floor-to-ceiling window is a must to fully enjoy the outdoor connection. For those with close neighbors, an internal light well brings the outside in but not prying eyes. Uniquely shaped- To minimize exposure but still allow a view of the sky or landscape, consider a smaller, strategically placed window. Stained glass- The high humidity in bathrooms is not the right atmosphere for works of art unless that artwork is made of glass! The glow and colors cast about the room from stained glass will create a revolving palette of beautiful light. 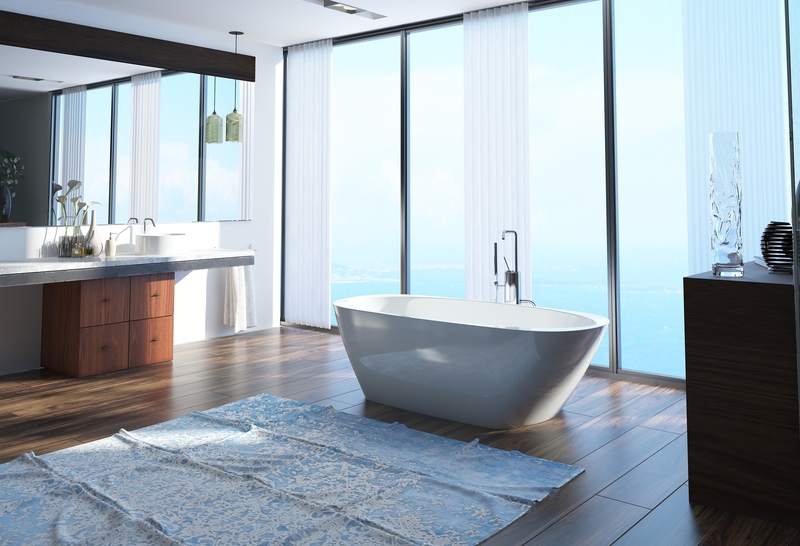 Opening up your bathroom to the outdoors with a well-designed window will dramatically change the ambience of the space and give you a feeling of rejuvenation. To add light and make the space feel instantly larger, let Colorado Glass Solutions of Longmont install or replace your home’s bathroom windows today! When it comes time to purchase ne w windows, homeowners need to decide if they should take on the project all at once or spread it out over time. Listed below are several factors to consider when replacing your windows. After reaching a decision, it is critical to to hire a reputable installer to ensure the integrity of your investment. Colorado Glass Solutions in Longmont offers a wide variety of top quality windows and employs a highly-trained team experienced in all types of installation. Leaking or accumulating condensation- If one window in your home is failing, it might be worth replacing all of the windows on that side of your house to save on installation charges and to retain a uniform appearance. Structurally compromised- If the sashes or frames of your windows are bowed or sagging, there is undoubtedly energy being lost through the damaged seal. Repairing the voids with caulk or spray foam are just temporary fixes and will not be as airtight as installing a new window. Poor energy efficiency- By replacing single-pane windows with more efficient designs, you can lower your heating bill by 10 to 25 percent, according to the U.S. Department of Energy! Worn or unattractive- The longevity of different frame materials varies: 15-20 years for aluminum, up to 30 years for wood and a little more for vinyl or fiberglass. 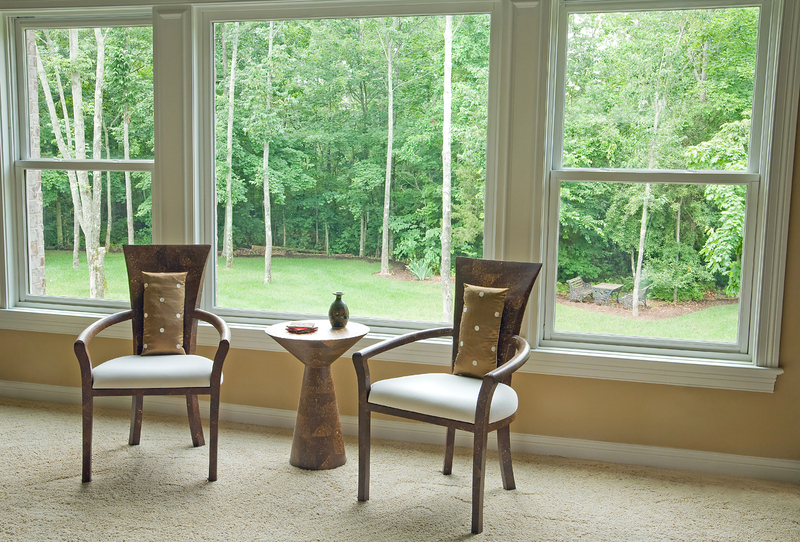 If your windows are faded or outdated and past their life expectancy, then it’s time to replace them. Easier to operate and maintain- Reducing frustration caused by windows that are difficult to open or clean is another benefit of replacing old windows with more functional models. Replacing five to eight windows at one time will save you money on labor because installation for that many windows takes a full day. Our professional installers work efficiently, strive to minimize disruption to your schedule and will leave their worksite immaculate. If you’re ready to invest in new windows, visit our showroom to see the features and quality of windows we offer at Colorado Glass Solutions!